Ottawa's lines and spires of power converge in holy symmetry. St. Patrick's Basilica is parish in the centre of Ottawa that has existed since 1855, making it the city's oldest English-speaking church. 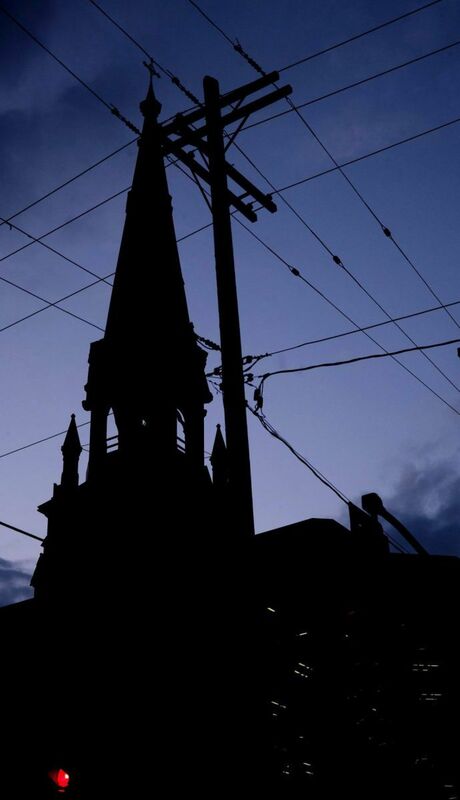 It remains a bustling urban place of worship, yet one summer evening as I passed there was a deep tranquility in the light enveloping its steeple that seemed to draw even the hectic cat's cradle of urban power lines into its symmetry.